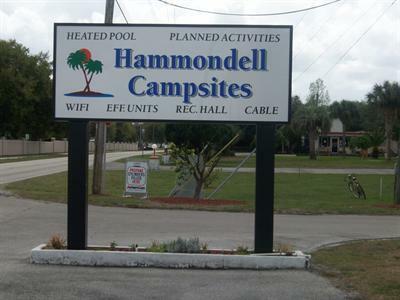 Enjoy the campground and local activities while staying at Hammondell Campsites in Winter Haven, Florida! Hammondell Campsites is located in one of the prettiest regions of central Florida, allowing opportunities for excellent outdoor activities and recreation. 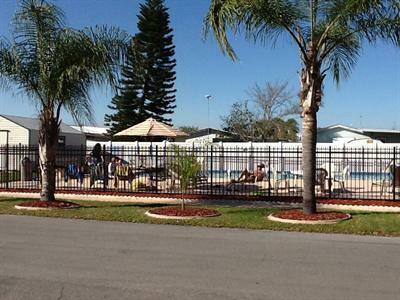 The camping resort offers a sparkling swimming pool, which is an ideal place to spend a morning or afternoon. Play an old-fashioned game of horseshoes, or start a rival game of shuffleboard with your fellow campers. Guests won't be bored during the winter season with a full calendar of planned activities in the clubhouse, including exercise, bingo, and cards, as well as potluck dinners, pancake breakfasts, and shows. Pre-planned bus trips, cruises, golfing outings, and group bowling are also offered during the winter months. 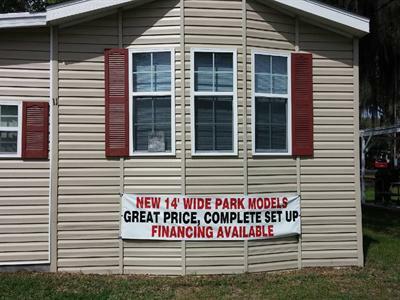 You'll also find picnic areas and plenty of room for biking, walking, or just relaxing outdoors. The surrounding area has much to offer the visitor, whether you prefer exploring local parks and lakes, or want to add some culture to your trip. Polk County is famous for its 45 freshwater lakes, where visitors can enjoy all kinds of water recreation, including fishing, swimming, and skiing. There are opportunities for backcountry bird watching, hiking, biking, taking invigorating walks, and more. Hammondell Campsites is within minutes of Cypress Gardens Adventure Park, the Bok Tower Botanical Gardens, and the Fantasy of Flight Museum. You'll find Eagle Ridge Mall nearby offering an arcade, indoor mini golf, bowling, cinema, and of course, excellent shopping and dining. 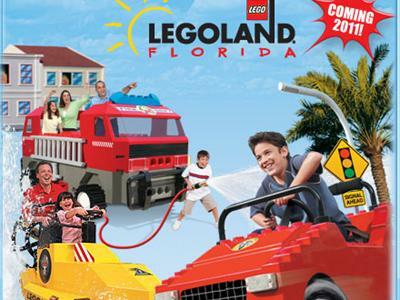 Walt Disney World, Busch Gardens, and SeaWorld are within an hour's drive. You'll find everything under the Florida sun, except for crowds and lines. Leisure Interactive, LLC. All rights reserved.